Coreworks was one of the earlier Korean resin conversion garage kit makers. This was back in 2000s where the trend was to stylize and beefing up Gundam designs, and I loved Coreworks. 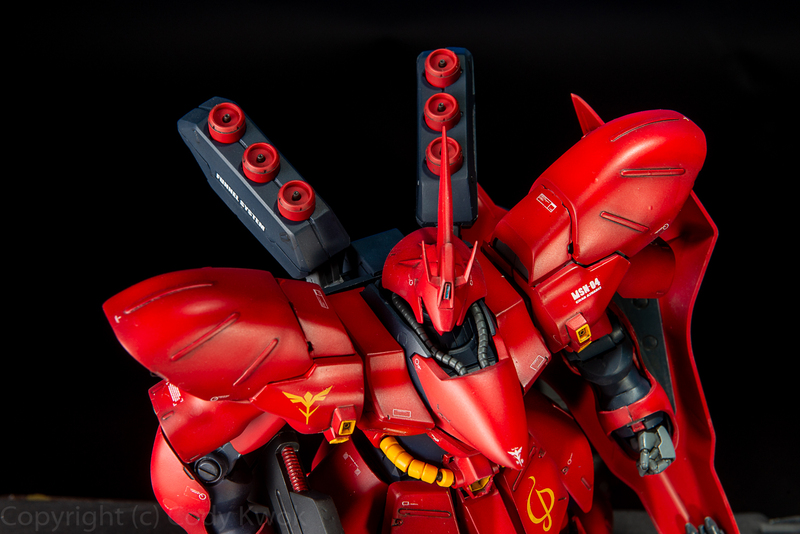 This 1/100 Sazabi conversion was applicable to the old MG Sazabi, which had poor proportions. 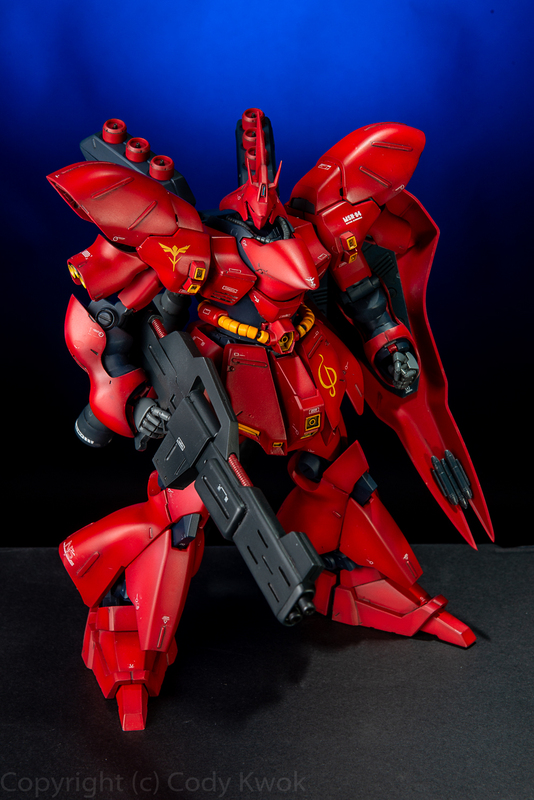 To be honest I considered this an abandoned project after the new Ver Ka. 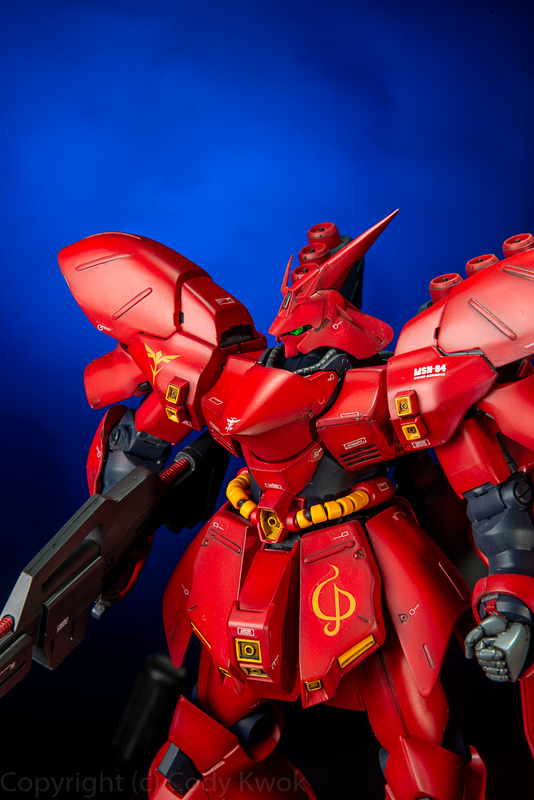 Sazabi came out. 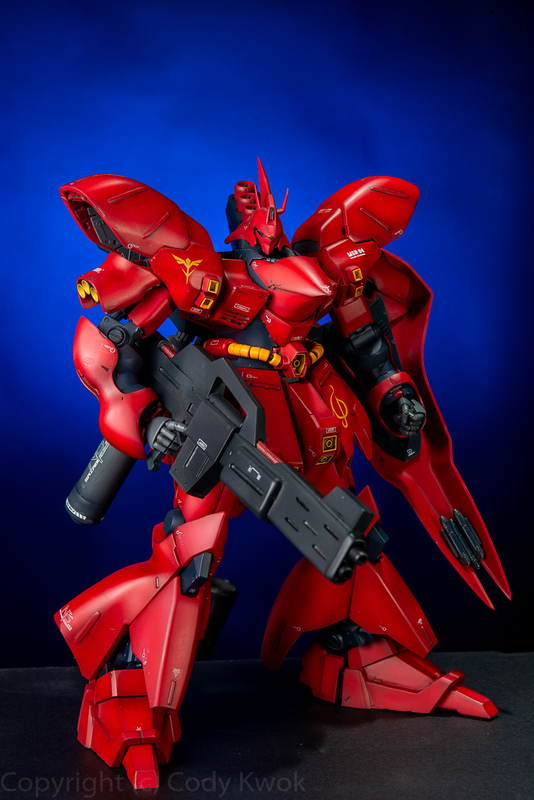 At that time I thought how many Sazabi do you really need? 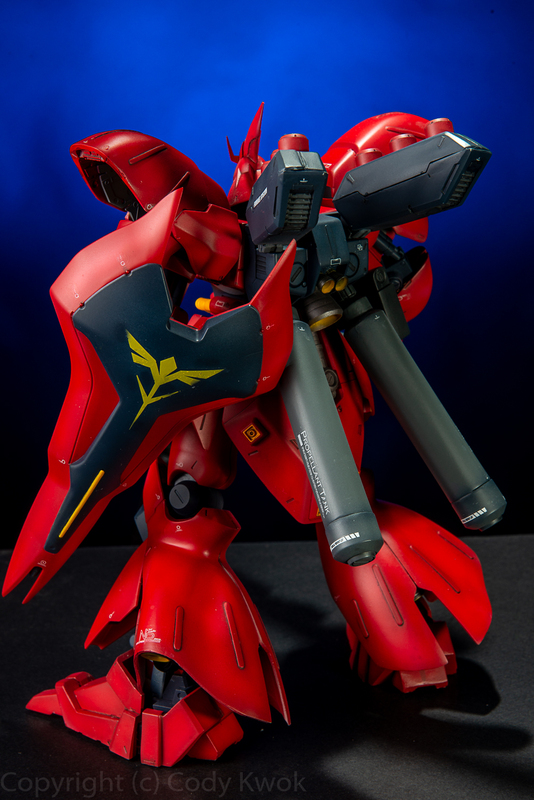 I also have another Formania Sazabi built as well, and with time the Coreworks rendition became less appealing. 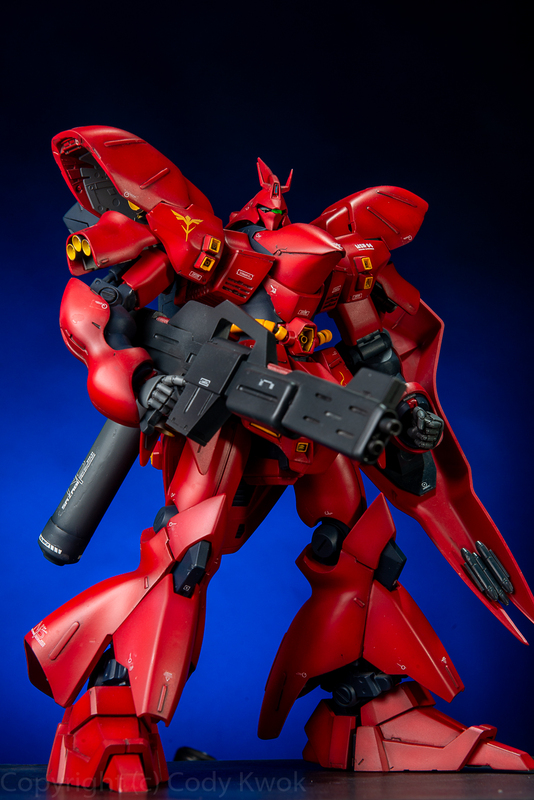 However this is a big conversion kit with a pile of resin, and the original MG Sazabi is also not a small kit and occupying a lot of space… so in the end I decided to take a leap of faith and build the kit anyway. I’m glad I did, despite the rather awesome Ver Ka. 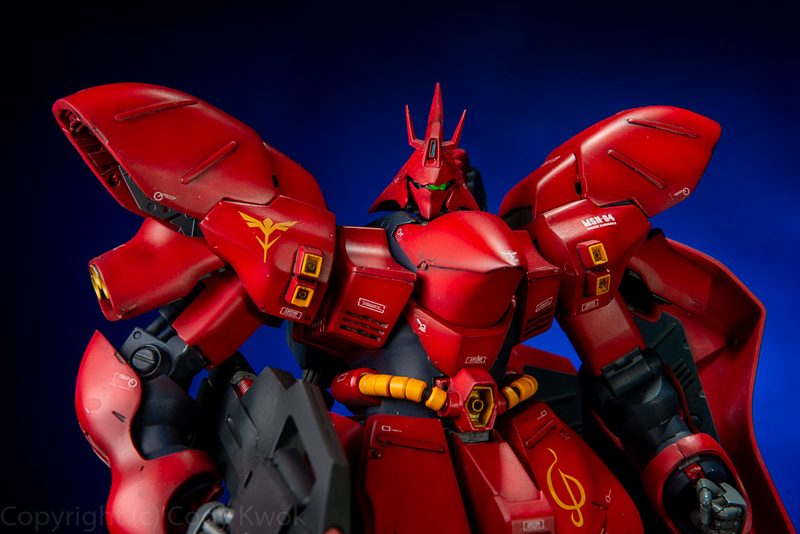 Sazabi, the Coreworks appeals to my old school aesthetics, with the very dynamic lines and “muscular” look giving a very commanding appearance that is hidden behind the intricate details of the Ver Ka. 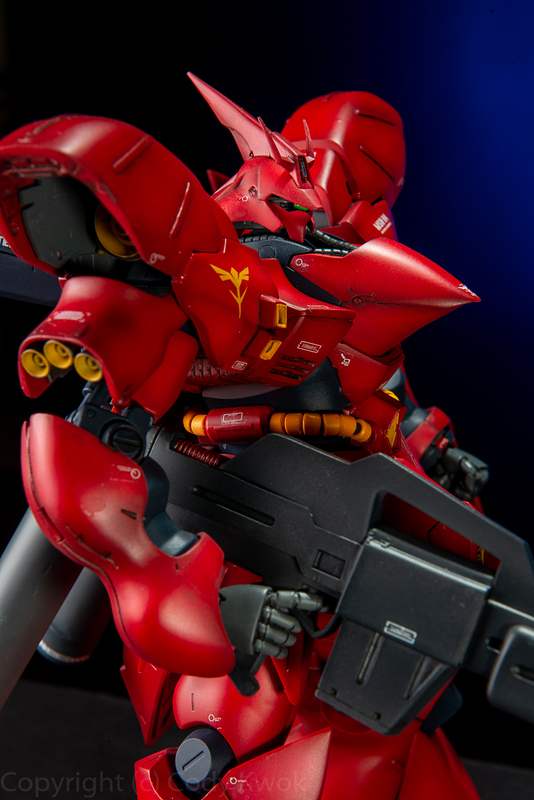 The Coreworks kits came with a couple of optional parts, including a beefed up shield and the long Sazabi rifle. The shield is a bit ridiculous in size and didn’t really add much to the appearance so I opted to go for the original shield. 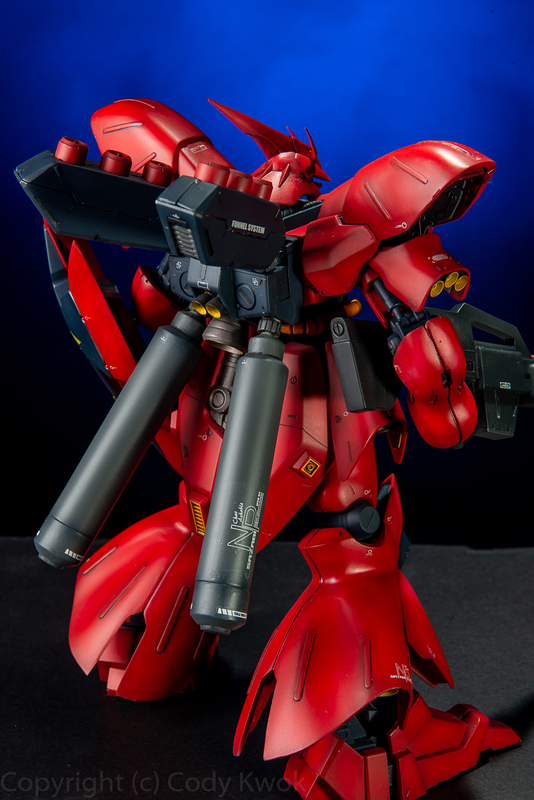 The Sazabi rifle, too, was really not giving that pretty lean and mean beam shotgun of the original. The conversion kit comes with an enlarged beam shotgun that is much better sized than the original MG’s measly version, so overall I don’t find it necessary to use the rifle.